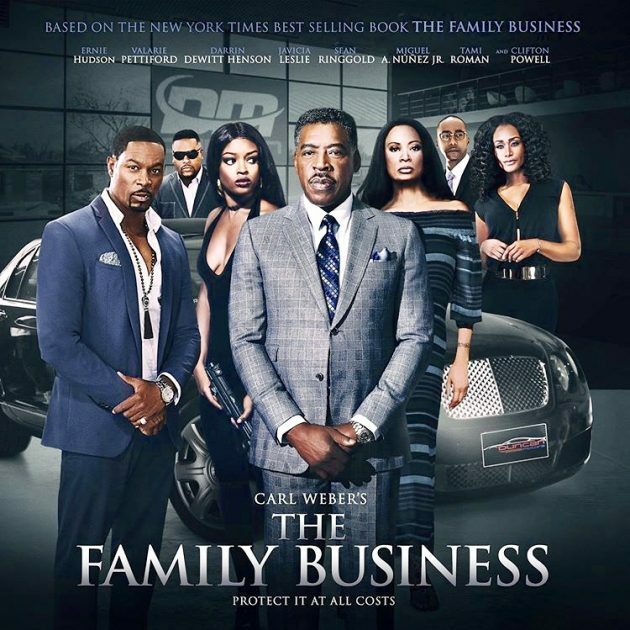 Check out the latest episode of BET & Carl Webers new series “The Family Business”. The two films based on the best selling book which has been re-cut as an 8 part series via Tri Destined Studios and Urban Books Media. Get into the show which stars Ernie Hudson (L.C. Duncan), Valarie Pettiford (Charlotte Duncan), Armand Assante (Sal Dash), Emilio Rivera (Alejandro Zuniga), Darrin Henson (Orlando Duncan), Javicia Leslie (Paris Duncan), Clifton Powell (Uncle Lou), Miguel A. Nunez Jr. (Harris Grant), Tami Roman (London Duncan), Sean Ringgold (Junior Duncan), Christian Keyes (Niles Monroe), Nick Turturro (Ronald Sims), KJ Smith (Sasha Duncan), Malik Yoba (Randy Moss), Gary Dourdan (Trent Duncan), Lisa Ray (Donna Duncan), Frankie G (Juan Rodriguez), and Arrington Foster (Rio Duncan), and introduces Amani E. Boyd (Mariah Duncan) and Dylan Weber (Nevada Duncan) below.